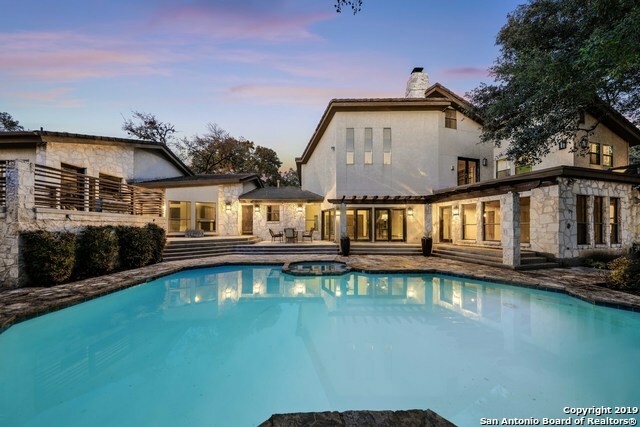 All BLUFFVIEW ESTATES homes currently listed for sale in San Antonio as of 04/22/2019 are shown below. You can change the search criteria at any time by pressing the 'Change Search' button below. "Expansive home on private/cul-de-sac in coveted Bluffview Estates.Sparking pool/spa & mature trees enhance outdoor living.Fresh interior paint,designer plumbing fixtures/hardware/mirrors,Restoration Hardware lighting/dining chandelier.Crema marfil/marble counters.Secondary bedroom/full bath on main level.Sizable secondary bedrooms.Huge master w/seating area,his/her vanities,large closet & pool access.Updated kitchen,gas cooking,copper vent hood,stainless appliances,double ovens.3-car garage.Near"
"Stunning inside & out. Inviting foyer & gorgeous family room w/fireplace overlooking a fabulous outdoor living space. Kitchen fit for a chef w/gas cooking, stainless appliances, wine fridge and expansive breakfast bar. Hardwood and travertine flooring. Downstairs master suite offers a luxurious bath w/oversized shower, spa tub, huge walk-in closet, and work out space (13x11) w/pool access. Game room w/3 beds up & downstairs game room opens to refreshing pool/private backyard. OWNER FINANCING A"
"Gorgeous Southern mansion with 2 wrap around porches. This entertainer's dream has open floor plan, 5 large bedrooms, high ceilings, custom crown molding, two family rooms, two dining rooms, large office/media room, an elevator plus lots of storage. 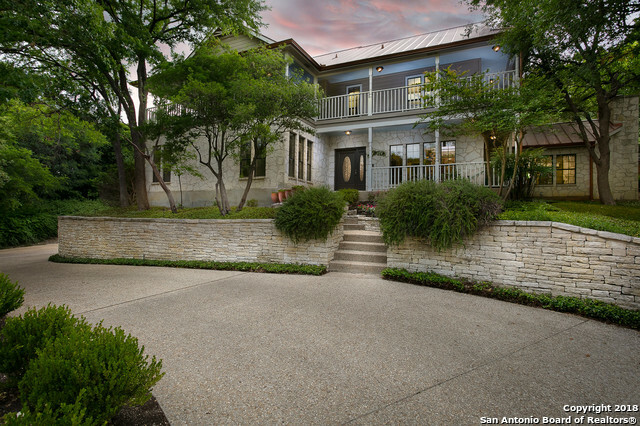 Home sits on 1/2 acre, overlooks Silverhorn Golf Course. Is centrally located to everything:5 min to Airport & 15 min to Pearl Brewery. Or stay home to lounge in your Grotto Style pool / spa with shelf waterfall steps for sunbathing. 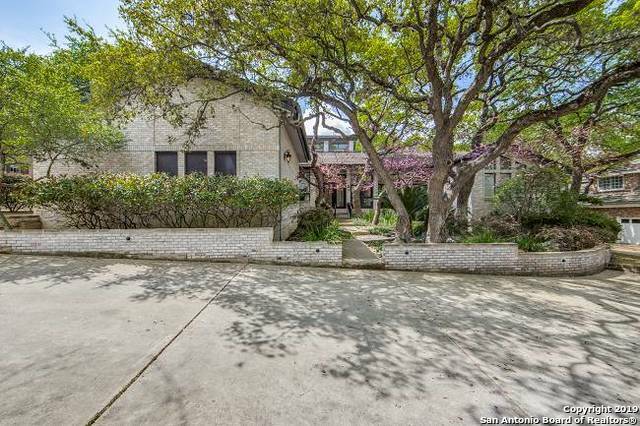 Ready for YOU to"
"Stunning one story contemporary home on an over sized oak-studded lot in Bluffview Estates should check all your boxes. Large windows provide ample light and views from every room. High end finishes, island kitchen, tile floors, and split master bath with soaking tub. Master is spacious and has outside access to the multi-tiered deck. Game room and additional bedroom and bath on second floor. This is a must see!" "Majestic and surrounded by mature oak trees, this home is a must see. Custom built traditional home has 4 bedrooms, 4 baths. High ceilings 1st and 2nd floors. Kitchen has a Subzero refrigerator and lots of room to entertain. There is a bedroom and full bath down. Circular drive in the front and a gate to the rear entry garage. Bamboo wood flooring in living and dining. 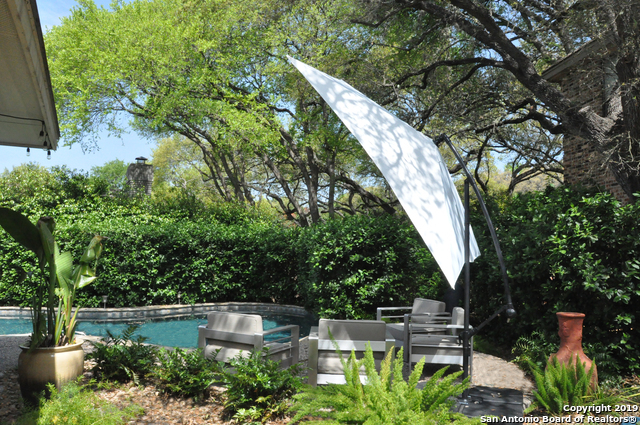 Beautiful backyard with two covered patios."